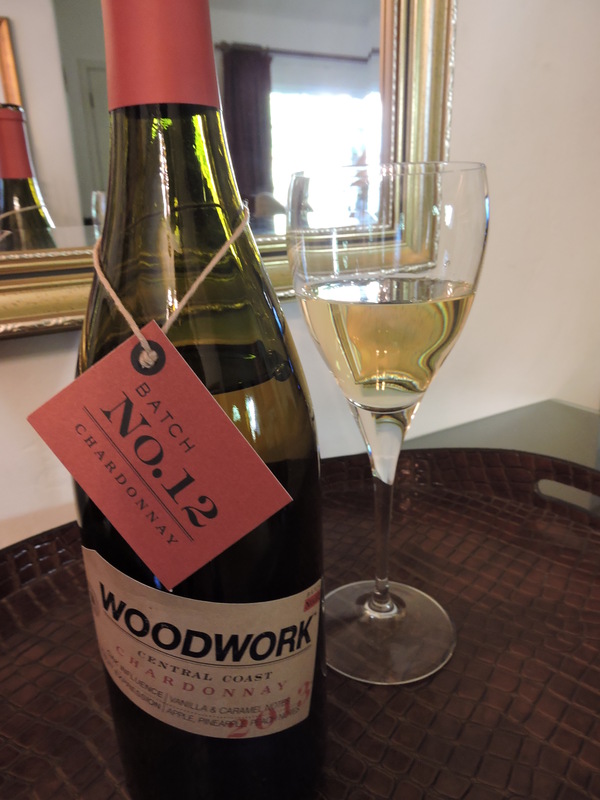 Woodwork Central Coast Chardonnay 2013, Batch No. 12. Its label boasts an oak influence, fruit expression, vanilla and caramel notes, apple, pineapple and peach notes. With a label like that, who can resist trying it? The nose is clean and there’s a lot going on in this wine. It definitely shows the fruit flavors with layers of vanilla and caramel with a slight butterscotch finish. My initial taste ends with a zippy (I love that term!) finish, something I find characteristic of the central coast chardonnays. This could be the pear and apple influence in the wine. To my taste, the oak is subtle, and not displaying the soft, round, buttery traits that I’m always looking for in a chardonnay. But, with that said, I do still like central coast chardonnays for their complexity. This one leans more toward the fruit expression with a touch of caramel, is complex with multiple flavors and would pair well with a soft brie cheese and apple slices, or roasted chicken. 13% alcohol. I picked up this wine, on sale, at Safeway for $8.18 (normally $12.99), but it is also available at Total Wine and many other online resellers. Another one of the “goodbye wines”, I couldn’t resist opening this one because of the adorable decoration glued to the front of it by one of my former, creative co-workers. 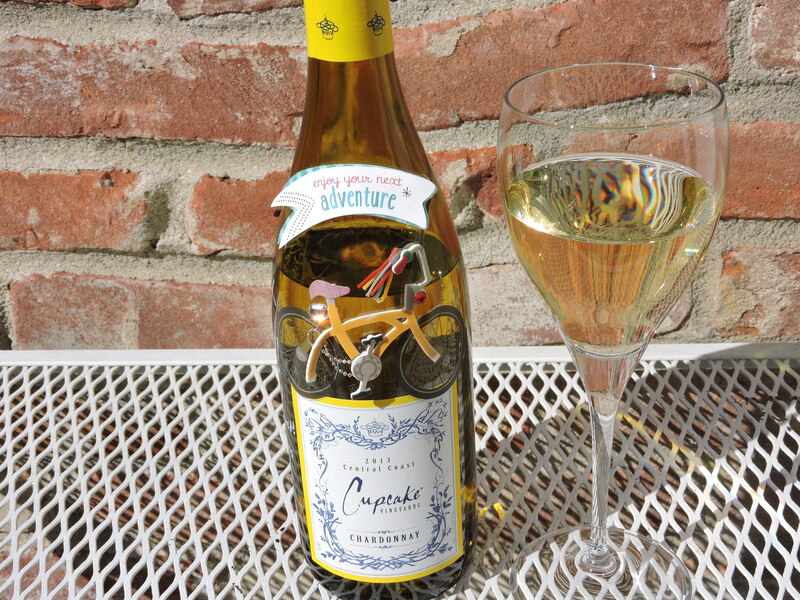 They know the Chardy Girl likes to ride her bicycle, as well as sip her favorite wine. This chardonnay combines bright citrus with vanilla overtones and is not heavy in oak or butter. It has a clean nose with no off odors. It has an almost incisive, but not tart finish. Wine experts would describe that as “sharp in the finish” or even zippy or zesty. I say that it finishes with a sensation of tanginess on my tongue. It’s not offensive or tart, but the wine just lets you know that it’s there. The majority of the grapes come from Monterey County and the flavor is pretty representative of Central Coast chardonnays. The alcohol content is 13.5%. Cupcake Chardonnay is not a premier chardonnay to save for a special dinner with friends. But it is a good utility wine, imminently drinkable. It is budget priced and can often be found on sale at your local grocery story for as low as $7 or $8.